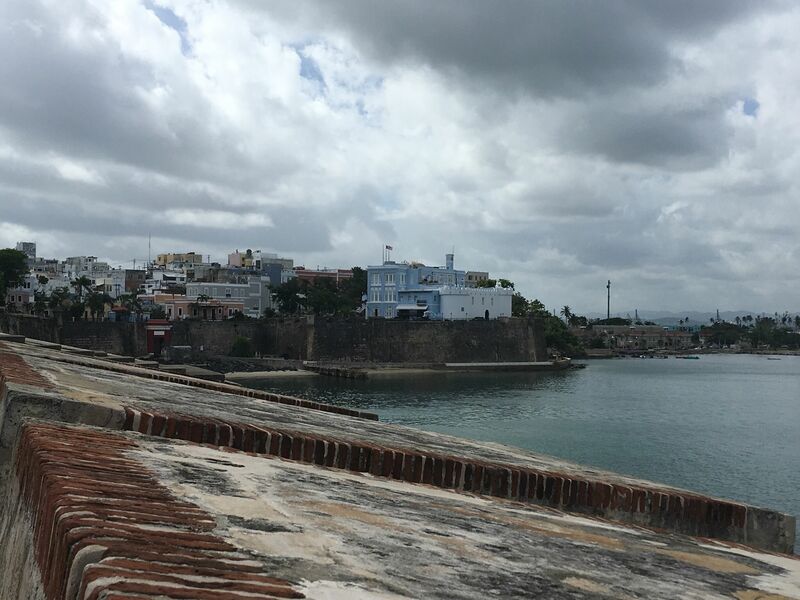 Old San Juan Walking Tour is a 5.3 kilometer out and back trail located near La Perla, Northern Region, Puerto Rico that offers scenic views and is good for all skill levels. The trail is primarily used for walking and is accessible year-round. Dogs are also able to use this trail but must be kept on leash. Stroll through San Juan's first, and still most charming, neighborhood Old San Juan is Puerto Rico's quintessential colonial neighborhood. Narrow streets and plazas are still enclosed by thick fortress walls, and bougainvillea bowers spill over exquisite facades. A walk along streets paved with slate-blue cobblestones leads past colonial mansions, ancient churches, and intriguing museums and galleries. Vivacious restaurants and bars that teem with life young and old are always nearby, making it easy to refuel and reinvigorate anytime during your stroll. This street with a broad pedestrian walkway is spruced up with flowers, trees, benches, and street lamps and unfurls westward from Plaza del Immigrante along the base of the fortified city walls. It leads to the Fuente Raices, a striking fountain depicting the various ethnic groups of Puerto Rico. Take a seat and watch the boats zip across the water. 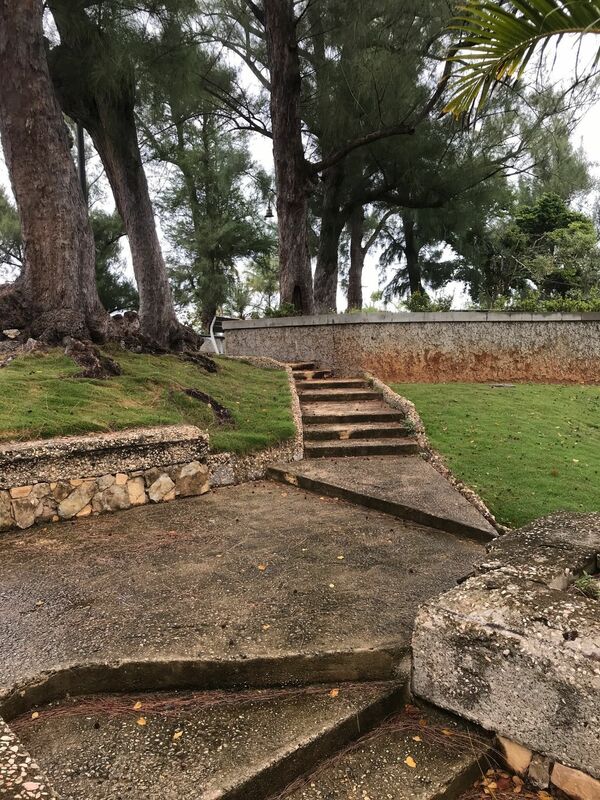 Beyond the fountain, is the beginning of Paseo del Morro, a well-paved shoreline path that hugs Old San Juan's walls and leads past the city gate at Calle San Juan and continues to the tip of the headland, beneath El Morro. According to legend, in 1753 a young horseman named Baltazar Montaez got carried away during festivities in honor of San Juan Bautista (St. John the Baptist), raced down Calle Cristo, and plunged over its steep precipice. A witness to the tragedy promised to build a chapel if the young man's life could be saved. Historical records maintain the man died, but legend contends that he lived. (Another version of the story has it that the horse miraculously stopped before plunging over the cliff.) Regardless, this chapel was built, and inside is a small silver altar dedicated to the Christ of Miracles. You can peer in through the wrought-iron gates, which are usually closed. Sitting atop the fortified city walls overlooking the harbor, the Fortaleza was built in 1533 as a fortress-and not a very good one. It was attacked numerous times and was occupied twice, by the British in 1598 and the Dutch in 1625. When El Morro and the city's other fortifications were finished, the Fortaleza was transformed into the governor's palace. Numerous changes have been made to the original primitive structure over the past four centuries, resulting in the current eclectic yet eye-pleasing collection of marble and mahogany, medieval towers, and stained-glass galleries. It is still the official residence of the island's governor and is the Western Hemisphere's oldest executive mansion in continual use. Dating back to 1520, this was one of the five original entrances to the city and is the only one still in its original state. The massive gate, painted a brilliant shade of red, gave access from the port. It resembles a tunnel because it passes through La Muralla, the 20-foot-thick city walls. According to legend, the British, while laying siege to the city in 1797, mistook the flaming torches of a rogativa-religious procession-for Spanish reinforcements and beat a hasty retreat. In this little plaza a monument of a bishop and three women commemorates the legend. The striking contemporary statue was created in 1971 by the artist Lindsay Daen to mark the Old City's 450th anniversary. 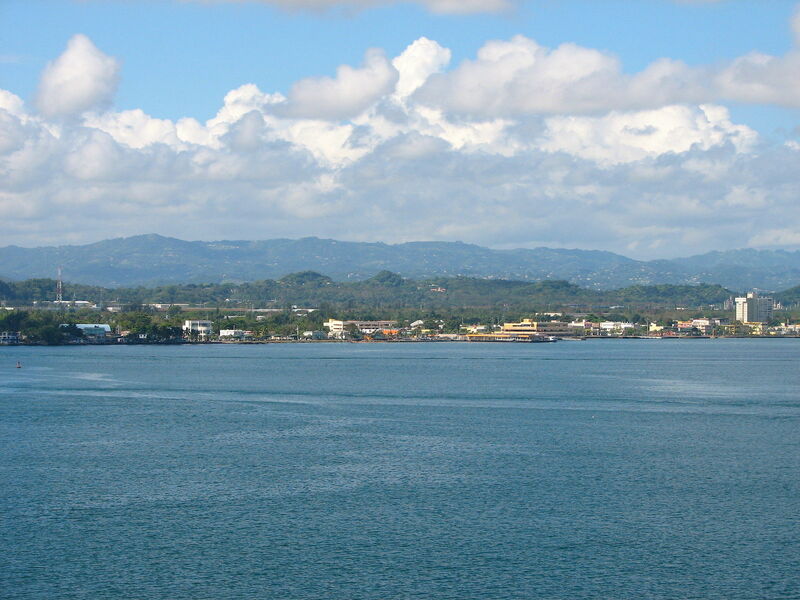 The fine view of La Fortaleza and the harbor is a bonus. 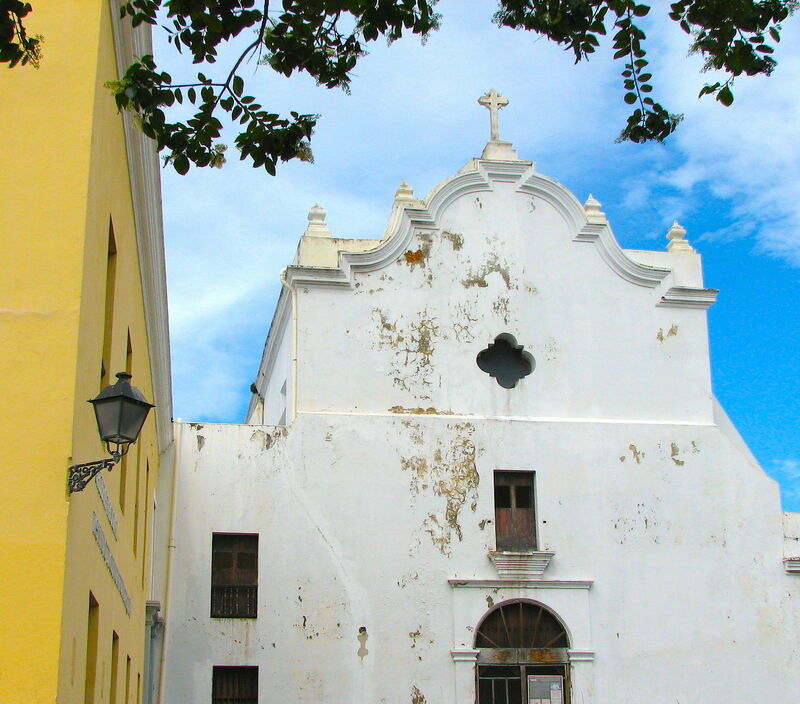 The Catholic shrine of Puerto Rico had humble beginnings in the early 1520s as a thatch-roof, wooden structure. After a hurricane destroyed the church, it was rebuilt in 1540, when it was given a graceful circular staircase and vaulted Gothic ceilings. Most of the work on the present cathedral, however, was done in the 19th century. The remains of Ponce de Leon are behind a marble tomb in the wall near the transept, on the north side. The trompe l'oeil work on the inside of the dome is breathtaking. Unfortunately, many of the other frescoes suffer from water damage. The small, two-story museum contains memorabilia of the famed cellist, who made his home in Puerto Rico from 1956 until his death in 1973. Manuscripts, photographs, and his favorite cellos are on display, in addition to recordings and videotapes (shown on request) of Casals Festival concerts, which he instituted in 1957. The festival is held annually in June. With its vaulted ceilings, this little church is a splendid example of 16th-century Spanish Gothic architecture. It was built under the supervision of Dominican friars in 1532, making it one of the oldest churches in the Western Hemisphere. 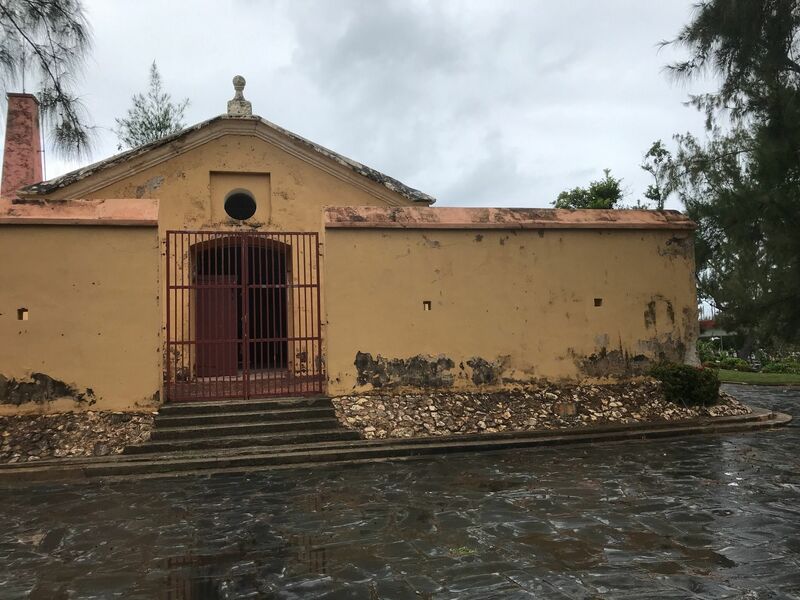 The body of Ponce de Leon, the Spanish explorer who came to the New World seeking the Fountain of Youth, was buried here for almost three centuries before being moved to the Catedral de San Juan Bautista in 1913. The original structure on this site was a wooden house built in 1521 as a home for Ponce de LeÃ³n; he died in Cuba without ever having lived here. His descendants occupied the house's sturdier replacement, a lovely colonial mansion with tile floors and beamed ceilings, for the next 250 years. It was the home of the U.S. Army commander in Puerto Rico from the end of the Spanish-American War in 1898 to 1966. Several rooms decorated with colonial-era furnishings are open to the public. A guide will show you around, and then you can explore on your own. Don't miss the stairway descending from one of the bedrooms-which, despite local lore, leads to a small room and not to a tunnel to nearby El Morro. The lush garden, complete with watchtower, is a quiet place to unwind. At the northwestern tip of the Old City is El Morro ("the promontory"), a fortress built by the Spaniards between 1540 and 1783. Rising 140 feet above the sea, the massive six-level fortress was built to protect the harbor entrance. It is a labyrinth of cannon batteries, ramps, barracks, turrets, towers, and tunnels. 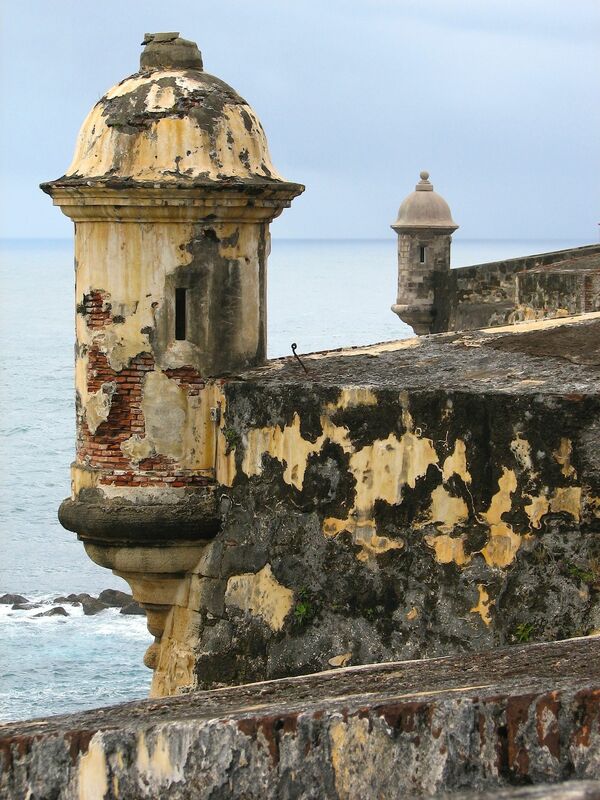 Built to protect the port, El Morro has a commanding view of the harbor. You're free to wander throughout. The cannon emplacement walls and the dank secret passageways are a wonder of engineering. The fort's small but enlightening museum displays ancient Spanish guns and other armaments, military uniforms, and blueprints for Spanish forts in the Americas, although Castillo San Cristobal has more extensive and impressive exhibits. There's also a gift shop. The fort is a National Historic Site administered by the U.S. Park Service; it's a World Heritage Site as well. Various tours and a video are available in English. A bustling marketplace in 1855, this handsome building now houses the small San Juan Museum (formerly the San Juan Museum of Art and History). You'll find exhibits of Puerto Rican art, plus tableaux and audiovisual shows that present the island's history. Concerts and other cultural events take place in the huge interior courtyard. This huge stone fortress, built between 1634 and 1785, guarded the city from land attacks from the east. Even larger than El Morro, San Cristobal was known in the 17th and 18th centuries as the Gibraltar of the West Indies. Five freestanding structures divided by dry moats are connected by tunnels. You're free to explore the gun turrets (with cannon in situ), officers' quarters, re-created 18th-century barracks, and gloomy passageways. Along with El Morro, San Cristobal is a National Historic Site administered by the U.S. Park Service; it's a World Heritage Site as well. Rangers conduct tours in Spanish and English. 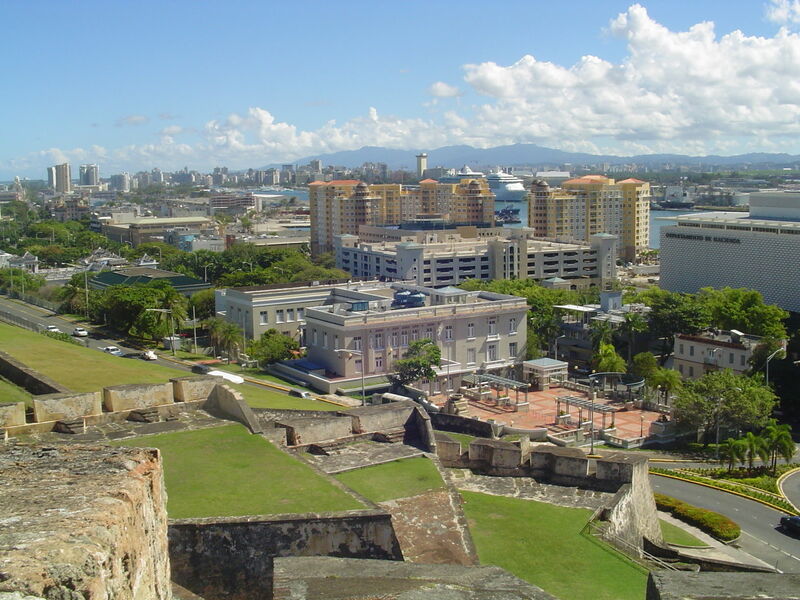 A statue of Christopher Columbus stands atop a soaring column and fountain in this bustling Old San Juan square catercorner to Castillo San Cristobal. 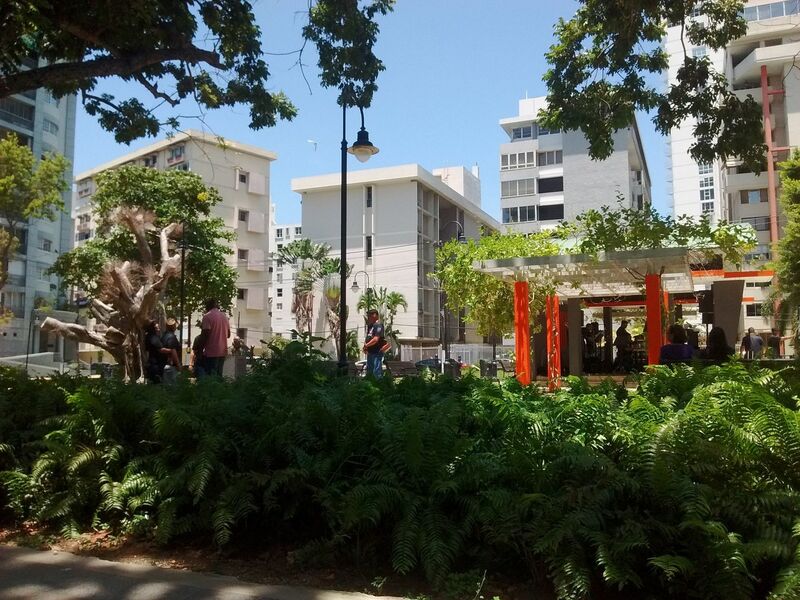 Originally called St. James Square, it was renamed in honor of Columbus on the 400th anniversary of his arrival in Puerto Rico. Bronze plaques on the statue's base relate various episodes in the life of the great explorer. On the north side of the plaza is a terminal for buses to and from San Juan. This walk is best done in the morning to avoid the afternoon heat and cruise-ship crowds. The route will take half a day at a leisurely pace, with plenty of stops along the way. I was really great. You really have to see it.